Obamacare, or the Affordable Care Act is now in the fourth year of providing health insurance. However, it will only be the third year of reconciling the healthcare requirements and the health insurance premium tax credit on your tax return in the spring. 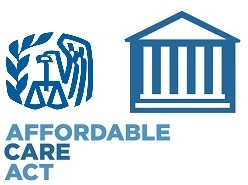 The fee, or insurance penalty tax, for going without health insurance increases each year. Here’s how to determine if you will need to report the penalty on your tax return and how much it might be. If you went without health insurance this year, you’ll be subject to an annual fee. The fee does not provide health insurance and is assessed after the year is over when you file your tax return. The penalty fee is calculated based on your Modified Adjusted Gross Income and is due with your tax return on the tax deadline. 2.5% of income or $695 per adult/$347.50 per child (up to $2,085 per family). The 2018 insurance penalty fee will increase based on inflation. 2016 insurance penalty fee: 2.5% of income or $695 per adult/$347.50 per child (up to $2,085 per family). 2015 insurance penalty fee: 2% of income or $325 per adult/$162.50 per child (up to $975 per family). 2014 insurance penalty fee: 1% of income or $95 per adult/$47.50 per child (up to $285 per family). The fee is calculated per month and includes household members you claim as dependents. For each full month without coverage, you’ll pay 1/12 of the above fee. When you file your tax return, most online tax services will automatically calculate your penalty. You do not have to pay the penalty if you have minimum essential coverage. If you have insurance already through a job or the government you won’t have to worry about the penalty. This includes marketplace health insurance, individual insurance, health insurance through an employer, COBRA, Medicare, Medicaid, CHIP, Tricare and veteran health insurance plans. Unaffordable Insurance: If the insurance would cost more than 8.13% of your income. Short Gap: If you go without insurance for less than 3 months of the year. No Filing Requirement: If your income is below the minimum income to file a tax return. Hardship Exemption: The exchange certifies that you suffered a hardship including that you would qualify for Medicaid but your state has chosen to not expand Medicaid. Member of Select Groups: If you are a member of a recognized Indian Tribe, health care sharing ministry, religious conscience sect member, incarcerated, or not lawfully present in the US.